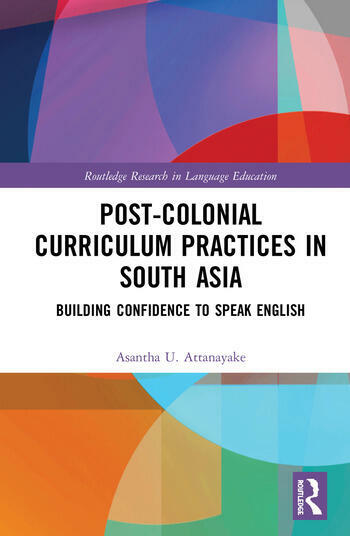 Post-colonial Curriculum Practices in South Asia gives a conceptual framework for curriculum design for English Language Teaching, taking into account context specific features in the teaching–learning settings of post-colonial South Asia. It reveals how the attitudes prevalent in post-colonial South Asian societies towards English negatively influence English language learning. The book provides a comprehensive analysis to design a course for English language teaching that aims at building learner confidence to speak English. Based on original research, the study covers Bangladesh, India, Pakistan and Sri Lanka. The book focuses on the context-specific nature of learners and considers a curriculum design that binds teaching materials and teaching methods together with an aligned assessment. Chapters discuss language attitudes, learner characteristics and English in the context of native languages, and introduce a special type of anxiety that stems from existing language attitudes in a society, referred to as Language Attitude Anxiety. The book will appeal to doctoral and post-doctoral scholars in English language education, students and researchers of sociolinguistics, psycholinguistics as well as curriculum designers of ELT and language policy makers.